On behalf of Moseley and Kings Heath Lions. I would like to thank you for visiting our website. Moseley and Kings Heath Lions Club covers this area of South Birmingham. All our members are volunteers and are local people who are prepared to help those in need or to get involved with issues that affect the local community and also National and even International projects. We belong to the Midlands district of Lions Clubs which has 60 Lions clubs, with over 900 caring men and women who volunteer their time to help others. We are ordinary people doing some amazing things, trying to find solutions to meet the needs of individuals and communities. Fun and friendships are an important aspect of every Lions Club and social events which reflect the interests of members are regularly organised by clubs such as ours. We are always looking for new members – like minded people who have the time and commitment to serve their local community. If you are interested in finding out more about who we are and what we do, please click on the Contact Us at the top of the page I look forward to hearing from you. Lions will welcome you whatever your age. In the Moseley and Kings Heath Lions Club most of us are over 40 which is why we would particularly welcome younger Lions. Do I have to live in this area? Is it all meetings ? No. We do meet twice a month on the second and fourth Wednesday. Whilst the first meeting is a formal business meeting the second one is more of a social depending upon our needs. Do I have to be a professional person to join Lions ? No. 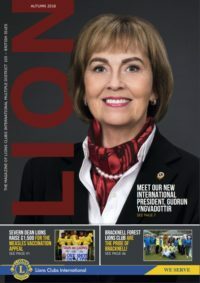 Lions welcome everyone from all backgrounds and walks of life, male or female, whether you are working or retired, providing you share in our objectives – to serve the local community. How many people are there in a Lions Club ? Usually between 15 and 35, although Clubs do vary. We currently have 22 members, but with some Lions moving on each year it is essential to replace them. We actively seek new members. What about my family ? We work on the principle that partners and family may support all fund raising activities and socials. You and your family will be welcome. Is Lions just fund raising ? Certainly not. We have a variety of community service activities e.g. supporting youth, the elderly, those with disabilities and health. But did you know that Lions International raised $135m with the intention of eradicating preventable blindness throughout the world ? How much time will I have to commit to Lions ? The commitment is only what you choose to make it. We find, as with most things in life, the more you can put in, the more you will get out. How can I find out whether I would enjoy Lions ? Contact us via the “Contact Us” page or phone us on 0845 833 9502 We will tell you more about our Club, answer any further questions you may have, and invite you to a social event or Club meeting. There is no obligation.